Well first of all let’s recall what is social media? 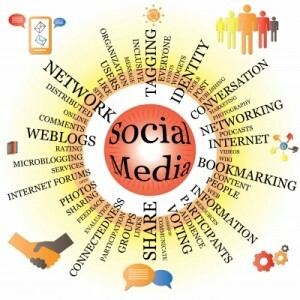 Social media isn’t confined to facebook, twitter and LinkedIn. You can consider starting a Google+ page as well. So what can you do on the social media marketing end if your service isn’t what the man in the street would buy? Firstly you will need to tie in your social media marketing engagement with your company’s corporate social responsibility (CSR) don’t have one? Set one up now! The point about going social is to get the society talking about you. Nobody is going to talk about your radiation proof chips but people will talk about the great job you’ve done with helping out with a good cause. If your product or service is not for everyone, chances are it will be used in some out-of-reach locations where normal people don’t see often. Post something that isn’t available readily, research shows the images and videos are the most shared content on the net. So post some pictures or videos about where your products are used. If you’re selling secret weapons to the military, it might be difficult to show who your buyers are but you can definitely show how your products kept the soldiers safe. Social media marketing like all marketing effort is all about being creative and to be able to out think your competition. Came across any interesting companies that had done well with social media marketing despite being a specialized product?? Share it with us in the comments below!